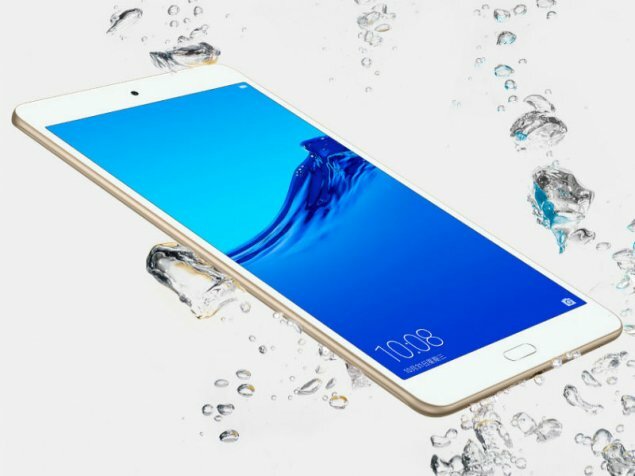 Honor Launches Waterplay 8 Tablet | Honor Waterplay 8 tablet News Honor Launches Waterplay 8 Tablet: Honor, the sub-brand of Huwaei launched Honor Magic 2 and Honor Waterplay 8 in a grand event in China. Honor Launches Waterplay 8 Tablet:- Honor, the sub-brand of Huwaei launched Honor Magic 2 and Honor Waterplay 8 in a grand event in China. Along with these, it also announced wireless earbuds, smartwatch and a tablet. The earbuds have been named Honor Flypods and they look similar to Apple's Airpods. Honor Waterplay 8 tablet has dual rear cameras and all the launched products are available for pre-order in China. Honor Waterplay 8 tablet runs on Android 8.0 Oreo-based EMUI 8.0. With 8-inch full HD display, it is powered by Kirin 659 processor. Honor Waterplay 8 tablet comes with 13-megapixel and 5-megapixel rear camera setup. It also has an 8-megapixel selfie camera. Honor Waterplay 8 tablet comes with 128 GB in-built storage and is expandable upto 256 GB. The connectivity options include Wi-Fi 802.11 a/b/g/n/ac, Bluetooth 4.2 with BLE, GPS, GLONASS, USB Type-C port, NFC support, and OTG support. It is available in 4GB+64GB Wi-Fi, 4GB+64GB LTE, and 4GB+128GB Wi-Fi variants. Honor Watch Magic comes in two colours variants - Lava Black and Midnight Silver.